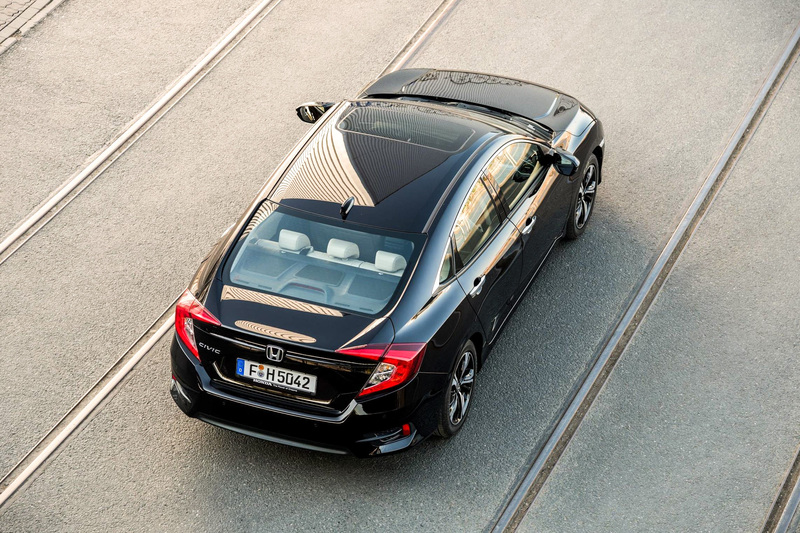 Honda UK has announced that the saloon version of its popular Civic is coming to the UK market. Built in Turkey, the Civic saloon will be available in both petrol and diesel powertrains and will be in dealer forecourts from August. The petrol version will be powered by the 1.0 i-VTEC currently available on the Civic hatchback and will be available with either the CVT or manual transmission. The 1.6 i-DTEC diesel powertrain launched earlier this year in the hatchback will be available with the same manual transmission or a new nine-speed automatic. Building on the 40-year heritage of the Civic name, and similar to the hatchback, the four door saloon has been engineered from the ground up and represents a significant step forward for Honda UK in the C-segment, benefiting from the largest single model global development programme in the company's history. Phil Webb, head of car at Honda UK, commented: "The Civic is a core model for Honda in Europe and has been at the heart of the brand's strong sales and manufacturing heritage, with the hatchback built in Swindon. The arrival of the saloon to the UK market compliments the Civic family and will be a great addition to our showrooms alongside what is already a very successful range for Honda." Details on specification, trim grades and fuel efficiency will be announced in the summer closer to launch. ➤ Call and have a chat with our award-winning Customer Service Team on 0800 043 2050 to register your interest in the all-new Honda Civic saloon.